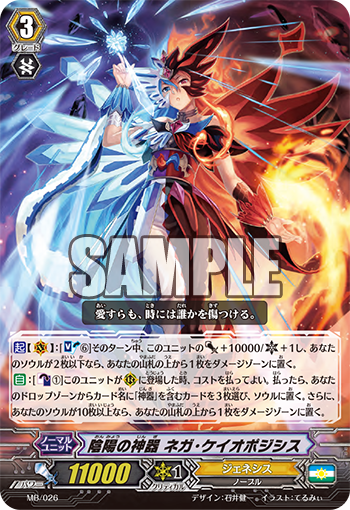 Yesterday evening the English-language Vanguard portal's products page updated to include the logo for VGE-G-BT02: Soaring Ascent of Gale & Blossom, an upcoming booster set still unreleased in Japan. Known through various translations as Flying Flowers and Soaring Beauty prior to this, the set did not have an official English title when first announced in Japan, causing others to use its native Japanese title Fuuga Tenshou (風華天翔 "Wind Flower Heaven Soaring.") The initial lack of an English title lead some to speculate that G-BT02 would not be coming to the west, and would instead be folded into another set akin to the fate of MBT01: Neon Messiah. G-BT02 features primary support for the Neo Nectar, Aqua Force and Great Nature clans, with secondary support for the Gear Chronicle, Royal Paladin, Narukami and Cray Elemental clans. The set's revival legion is Dragonic Kaiser the Crimson, its cover card is Flower Princess of Vernal Equinox Primavera, and in addition to Blue Storm support it also features cards designed to bolster dedicated Maelstrom decks. Soaring Ascent of Gale & Blossom will release in Japanese on February 20th 2015, and in English on May 22nd of the same year. 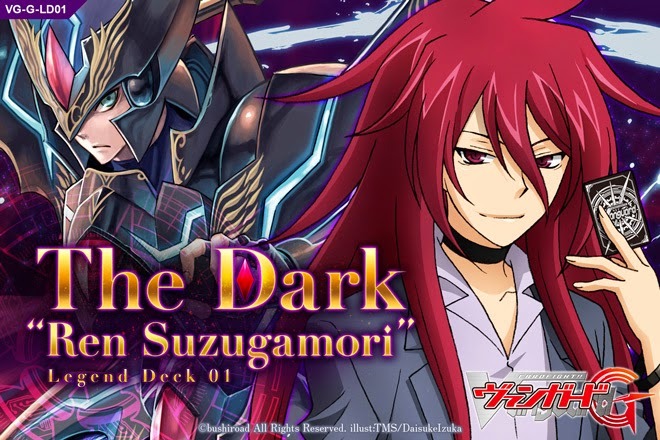 This morning Bushiroad of Japan revealed the first legend deck through a live Niconico broadcast in cooperation with Card Kingdom, G-LD01: The Dark “Ren Suzugamori.” The broadcast attracted more than ten thousand viewers and five thousand comments. Card Kingdom deck designer JacK (@JacK_cardkingdo) released promotional images teasing four cards from the deck, including cover card Blaster Dark “Diablo.” Unlike trial decks, legend decks contain a full four card playset of their main grade 3, stride unit and Sentinel cards. Each legend deck contains 54 cards, and unlike with trial decks can be played competitively out of the box without buying additional legend decks. Legend decks feature the cards of legendary cardfighters from Cardfight!! 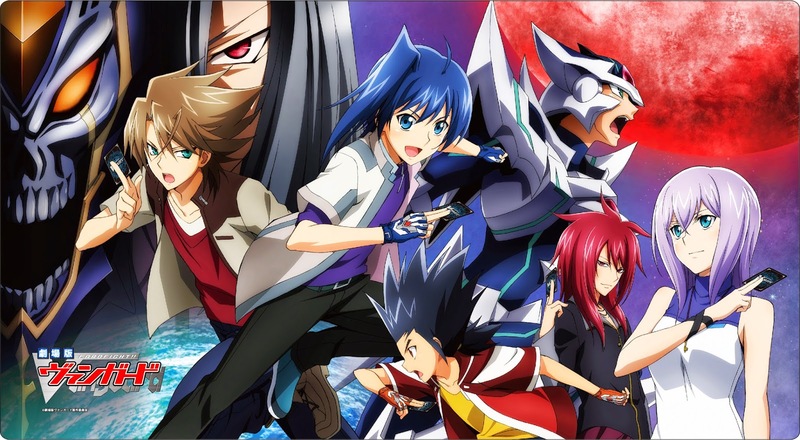 Vanguard's original run, transplanted into the era of Cardfight!! 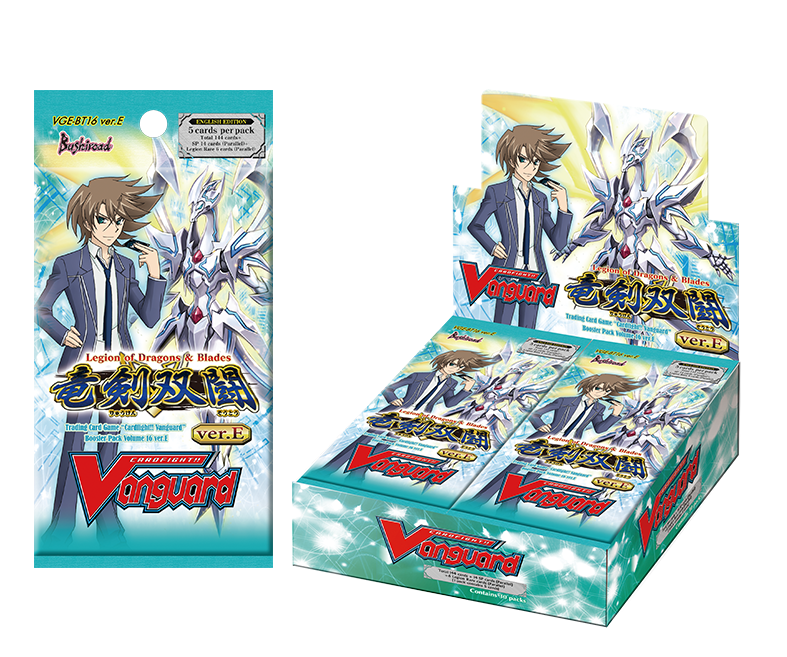 Vanguard G. The legend deck will be released in Japan on April 24th, 2015. No English-language release date has yet been announced. He is followed closely by Darkness Dragon, Phantom Blaster “Diablo.” Generally thought to be Shadow Paladin's first stride unit, Blaster “Diablo” is illustrated by NINNIN, who previously handled Phantom Blaster Overlord in BT05: Awakening of Twin Blades. “Diablo” greatly resembles the Overlord of the past drawn from a different angle, standing upright rather than hunched over and with his double lances fused at their hilts. The background and foreground of the illustration are likewise variations on Blaster Overlord's, harkening back to the world's first persona blaster. Based on this, some fans are theorizing that “Diablo” will be Shadow Paladin's persona stride, activating his skill by turning a face-down copy of himself in the generation zone face-up. The legend deck will also bring back Skull Witch Nemain as Young Skull Witch Nemain (髑髏の魔女っ娘　ネヴァン Dokuro no Majommusume Nevan, musume can mean either "young lady" and "daughter" depending on the context.) She is illustrated by Hagiya Kaoru, who also illustrated the original Nemain. 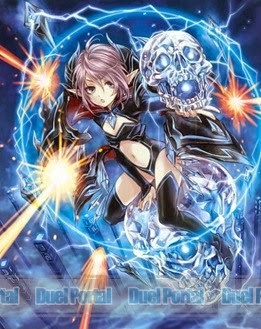 Based on similarities in the artwork to contemporary units, many cardfighters believe Young Nemain will be the Legend deck's perfect defense card, potentially serving as Shadow Paladin's G-perfect defense capable of unflipping damage during the guard step while there is a copy of her in the drop zone. Finally, the LD01 will bring back Darkness Maiden Macha as the Maiden of the Dark Night, Macha. Like Blaster Dark, Macha will not be retaining her original illustrator; Hayabusa Yuki has uniquely never illustrated any other cards for Cardfight!! Vanguard since BT04. 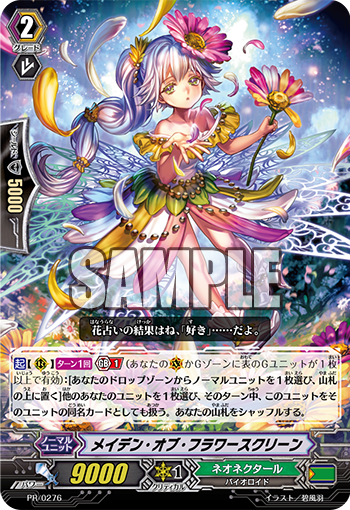 Instead, the Maiden of the Dark Knight will be illustrated by Aoji, who recently did work on the Neo Nectar trial deck G-TD03: Flower Maiden of Purity. The Japanese card of the day is Great Nature's first generation break unit from G-BT02: Flying Flowers. Popular Professor Big Belly is a Chatnoir for the generation break era, designed to rotate through the field in the late game by powering up the rearguards and then trading them out to refresh the hand. This in turn lets you access Great Nature's unique defensive properties, akin to a Roman tortoise formation. 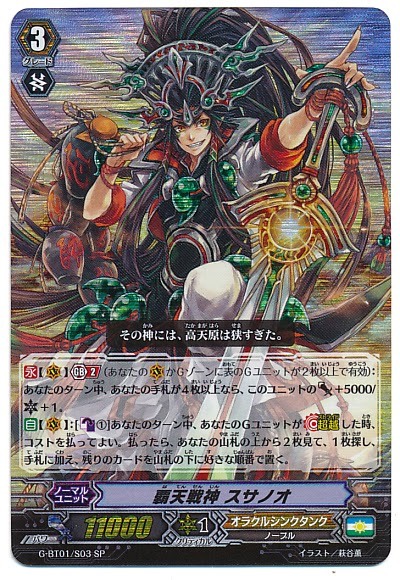 AUTO (Vanguard circle): Generation break 2: (If you have 2 or more face-up G Units in your vanguard circle or generation zone) When this unit attacks a vanguard, choose one of your rearguards, during this turn it gets Power +4000, and during the end phase of that turn, draw one card and retire that unit. AUTO (Vanguard circle): [Counterblast 1] During your turn, when you stride with a G Unit, you may pay the cost. If you do, choose up to two of your rearguards, during this turn they get Power +4000 and "AUTO (Rearguard circle): When an attack by a unit in the same column as this unit hits a vanguard, if the attacking unit's Power is 20000 or greater, draw a card." Big Belly's on-stride counterblast is how he'll be used for most of the game. Because this skill does not retire your rearguards, it both creates the possibility for a flat increase in card advantage and makes it more likely to happen by strengthening your rearguard lanes. Furthermore, Belly can always target his own booster for the skill assuming that you set it in play on the turn beforehand, which means that you can get a +1 off of your stride regardless of its other abilities since the vanguard's power will automatically exceed 20000. Belly's unique property is thus that the more successful your aggression, the better a defensive position you are put in. Each attack that connects grants you another card in hand, prepping you for the opponent's counterattack. This is offset by the properties of Great Nature's stride units. 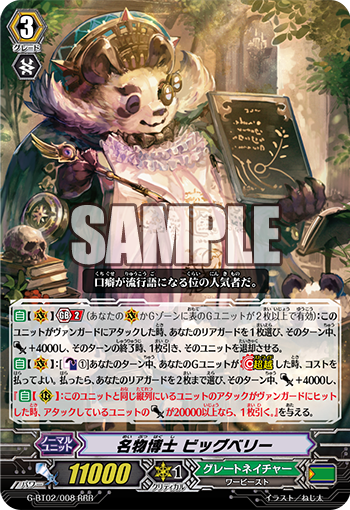 Eternity Professor Phoenicialux, revealed in the previous issue of Monthly Bushiroad magazine, gives +4000 power to two rearguards when she attacks, then retires them in the end phase. Unless your targets are units like Stamp Sea Otter that cannot be retired by card skills, this means that Big Belly is only trading out one card for another rather than building true card advantage. A solution to this is to only target units with Phoenicialux that replace themselves in some fashion, like Coiling Duckbill or the Hammsuke series. In this way, you can convert the targeted cards to additional cards in hand, which causes you to build up a net increase in card advantage while converting your field into handsize to defend through the opponent's turn and protect your increases in advantage from both retire and lock effects. By destroying your own rearguards before the opponent can and getting a neutral or positive exchange out of destroying them, you prevent the opponent from punishing your plays, making your own offensive safe. Big Belly's generation break 2 comes into play in turns where Phoenicialux is undesirable or no longer available. This is more in line with Chatnoir proper, giving +4000 power to a rearguard when he attacks, drawing a card in the end phase and then retiring the powered-up unit. Like in the Phoenicialux combo example, using rearguards that replace themselves or ones that cannot be retired by card effects causes Big Belly's draw skill to become a +1 in advantage rather than a neutral exchange. 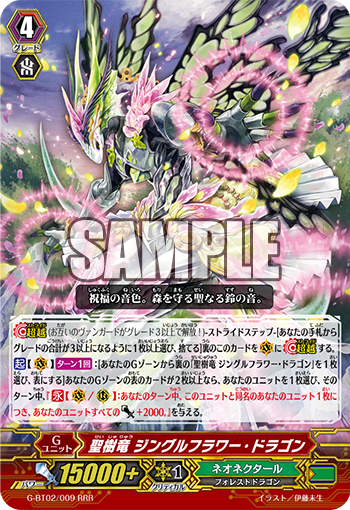 Compared to Chrono Jet Dragon blocking the opponent's perfect defense cards or Flower Maiden of Ranunculus field power bonus, Big Belly is not as dramatic a skill as one may anticipate from past generation breaks. His strengths lie in being able to consistently weather long games and enjoy considerable freedom versus field control decks. The Japanese card of the day for this weekend is Neo Nectar's triple rare stride unit from G-BT02, Jingle Flower Dragon. Intended as an endgame unit to be used on your your fifth turn and later, Jingle Flower endows the entire field with massive power boosts in the same vein as his 2012 predecessor Sephirot. However, Jingle Flower's boosts vastly exceed those granted by Sephirot, as a trade-off to being available only twice per game and inside of a very limited window. ACT (Vanguard circle): Once per turn: [Choose a face down card named “Holy Tree Dragon, Jingle Flower Dragon” in your generation zone, turn it face up] If the number of face up cards in your generation zone is two or more, choose one of your units, during this turn it gains "CONT (Vanguard/Rearguard circle): During your turn, all of your units get Power +2000 for each unit you have with the same name as this unit." Jingle Flower's skill is moderately complex. It targets a single unit on the field, but actually increases the power of all of your units in play. In order to optimize Jingle's skill, you need to choose the unit which you have the greatest number of cards with the same name as it in play, and because some Neo Nectar units can take on the name of another card, this may not be the unit that you actually have the most actual copies of. 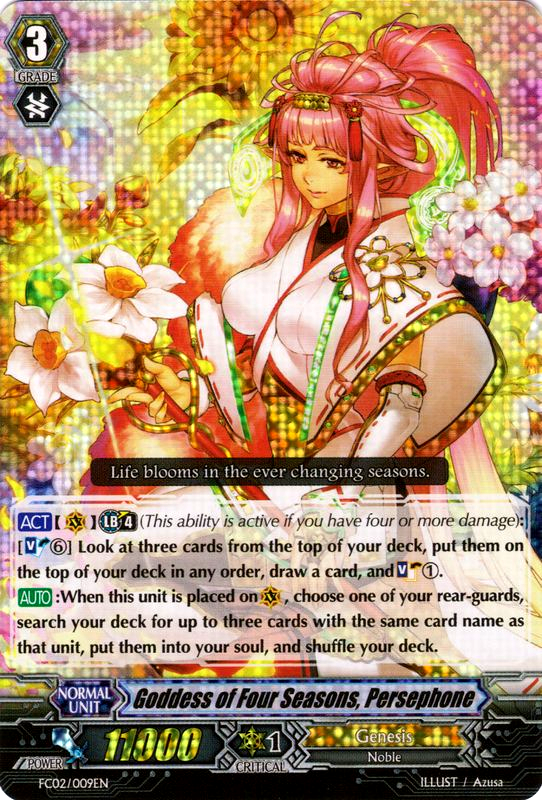 As an example, the promotional card Maiden of Flower Screen can use her once-per-turn generation break skill to gain the name of another card on the field, by returning a nontrigger unit from the drop zone to the deck. This makes it possible to have five instances of the same name in play rather than the standard limit of four, causing all of your units to get five instances of +2000, a net of +10000 power. The optimal setup for this uses two Flower Screens and three identical grade 1s that the Flower Screens will take the name of, preferably Sour Sourer (スッパ・スッパー Suppa Suppaa) a base 7000 grade 1 that gets +1000 power for every other Sour Sourer in play. All three Sour Sourers will have +4000 power from their own skill, and with every unit getting +10000 power from Jingle Flower Dragon's persona generation skill this will create rearguard power lanes of 40000 and a vanguard lane of 55000 power. With this in mind as the standard to which your Jingle Flower strategies need to get as close as possible to, a more likely situation is to be able to get out two copies of a unit and use Spring Waiting Maiden Oz to bring the third in, but without access to the Flower Screen promo these three units will result in "just" a +6000 power boost to every card through Jingle Flower's skill. Even the small numbers for Jingle Flower are more than reasonable. With standard 16000 power rearguard lanes and just two instances of the same unit in play, your formation will have 24-37-24000 power, and with three that jumps up to 28-41-28000 power. Because each unit gets the power bonus individually, having a booster in play greatly increases their effectiveness, and wanting to have three or more instances as a specific number means that Jingle Flower works best with replicating grade 1 units. The new Neo Nectar fosters a method of play akin to vegetative cloning, deriving strength out of numbers from repeatedly cloning individual plants to cultivate a field from a single seed. Like Vict Plasma and other persona generation units, Jingle Flower can only be used so many times per game. He effectively succeeds Arboros as the finishing move of the clan, but because of the limitations on how many times his skill can be activated, there is no reassurance of being able to simply have the power boosts for the rest of the game. That kind of play instead goes to the Maiden of Ranunculus, Aasha. Hence, Jingle Flower is best reserved for very late in the fight when the opponent is already at the four and five damage mark. This morning several card shops that received their initial supplies of promo packs for February leaked images of the upcoming cards, with some recipients selling the cards early through eBay. 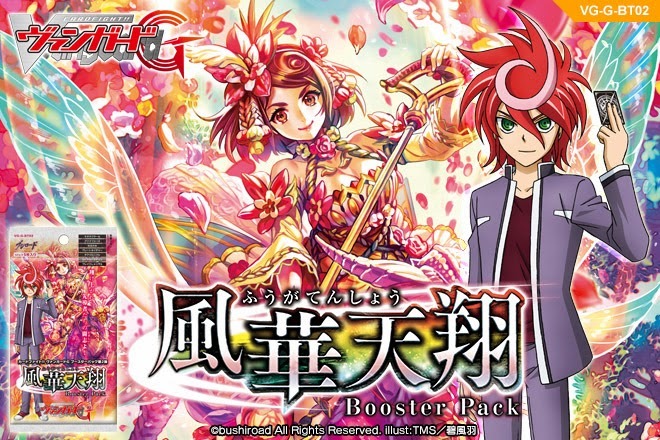 Illegal sales of promo pack cards has been a continual problem for the company since the game reached the west, as unlike their Japanese counterparts, many western distributors have no scruples over breaking street dates and selling promos rather than giving them out as participation incentives. Bushiroad updated their official events page this hour to reflect the new cards. 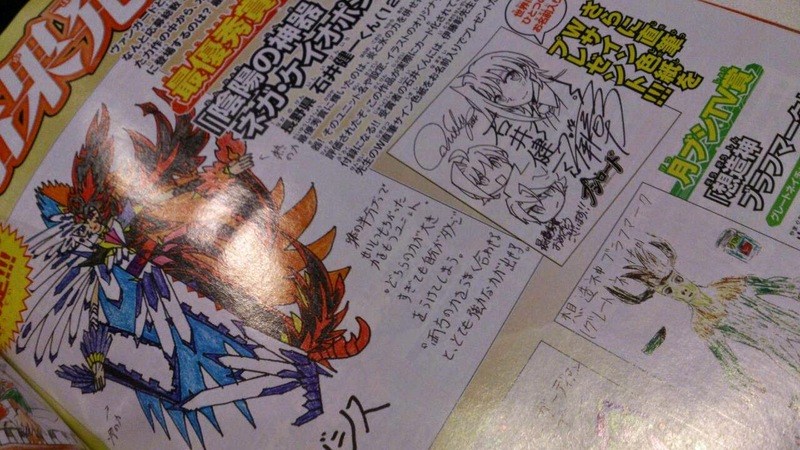 Included in Volume 12 are Knight of Reform Ladinas, Weather Girl Ramune, Stealth Beast Tobihiko, Brawler Earthcrack Dragon, Clipping Deletor Evo and King Serpent. Prices are steadily climbing from $6 to $10 for each, as demand for early access to the promos is strong. Tobihiko is of particular concern for professional Nubatama cardfighters, perceived by many as an essential card to the clan. Having not seen English-language support since FC02: Fighter's Collection 2014, while having both first and last had triggers for it printed in BT13: Catastrophic Outbreak, Nubatama is a clan starved for new cards and alternate trigger lineups. Previously forced to run four every trigger type, the addition of Tobihiko now gives Nubatama the option to eschew either stand or draw triggers for a more reliable one. In Japan a promo legion pair was also issued for the clan last year, and international cardfighters can expect to see that legion hit their shores later this year. The Japanese card of the day is the winner of 2014's create-a-card contest, designed by child reader Ishii Kenichi and brought to life by veteran illustrator Terumii (Vlad Specula, Paschal, Maiden of Blossom Rain.) Neither a legion nor a limit break unit, like Daunting Deletor Oksizz before her Chaopozisis takes total control of her gameplay's tempo. Chaopozisis wields the power of Onmyou, the Japanese philosophical concept of contradictory forces that complement one another when put in balance, and this is represented through her soul management-based gameplay. In order to use Chaopozisis effectively, you have to constantly fluctuate between 3 and 9 soul and demonstrate total control over your soulcharging across multiple turns. The reward for this is nearly endless turns of additional power and critical from the moment you ride a grade 3, quickly draining the opponent's perfect defense cards, then eating into the remainder of their hand. ACT (Vanguard circle): [Soulblast 6] During this turn this unit gets Power +10000/Critical +1, and if the number of cards in your soul is 2 or less, place a card from the top of your deck into your damage zone. AUTO: [Counterblast 1] When this unit appears in a rearguard circle, you may pay the cost. If you do, choose three cards with "Regalia" in their card name from your drop zone, put them into your soul, and if the number of cards in your soul is 10 or greater, put the top card of your deck into your damage zone. Chaopozisis' skills are divided between her aspect of ice on the vanguard circle, and aspect of fire on the rearguard circle. In keeping with her card lore, misusing either of Chaopozisis' powers will cause you to take damage, respectively symbolizing being frozen alive and immolated. To use her correctly you have to strike a balance in how much soul you maintain. Her aspect of fire can be a useful supporting component either for herself or for another Regalia boss card like Yggdrasil, but because her skill soulcharges exactly three cards rather than "up to" three, if you've overdone your own soulcharging then there's no saving you from taking damage. Failing to exercise proper caution and misusing Chaopozisis when already at high damage can cost you the game. Nega Chaopozisis' submission artwork from issue 15, illust. Ishii Kenichi. You can never exceed 9 soul nor drop below 3, so Chaopozisis benefits from cards like Regalia of Midday Hemera that can choose up to so many cards, to prevent overcharging. Note that Chaopozisis' skill is not a once-per-turn skill like that of Midnight Regalia Nyx or CEO Yggdrasil. This is pivotal, because unlike with those cards the opponent is not safe from her skill even when at two damage. As long as you are able to set up Chaopozisis, you can use her aspect of ice to have as much power and critical as you desire. If you're absolutely certain that the opponent can't block your attack, then taking a damage on your own end may even be acceptable if it results in sending the opponent to 6 or 7 damage. Key support cards for Chaopozisis are Witch of Grapes Grappa and Witch of Oranges Valencia; while Witch cards rarely make it into Regalia decks these days, Grappa and Valencia are especially important to Nega Chaopozisis because when soulblasted they can soulcharge 2. All of Nega's text must resolve before Grappa or Valencia can however, so when using these skills you have to be certain that you will have 3 soul remaining after paying her soulblast 6 to avoid taking damage. Grappa and Valencia's on-blast soulcharges then help support Hemera and Shiny Angel in getting the soul ready for next turn. But because Witches cannot be targeted for Regalia-specific soulcharge effects, the window for getting these cards into the soul is limited. Other than riding them, you can use Cider to get them into the soul after guarding with them or bringing them out through a quintet wall, soulcharge them off of Lot Angel, and of course soulcharge the Witches through their own skills. Chaopozisis shares her other key soulblast targets with Yggdrasil, Mirror Regalia Achlis and Regalia of Fate Norn. Both of these units give +5000 power to the vanguard when blasted, which can snowball with Chaopozisis' aspect of ice to create a vanguard in the range of 51~61000 power. The more difficult question comes into play when considering a unit to partner her with. Because of having both vanguard and rearguard skills Chaopozisis is flexible enough to either act on her own or as support for an existing boss card, so pairing her with Yggdrasil would seem like an obvious choice. But her aspect of fire will also punish you for failing to track the soul, and it's much more useful the earlier it comes into play. In a CEO deck you want Chaopozisis out before putting down Hemera, or before using the infamous Svalinn-Cider combo. When building around Chaopozisis herself, Nyx can be a useful setup card because of her draw skill, which empties out the soul early on and leaves you in little danger of backlash from the aspect of fire. Angelica is also a possible choice, but her break ride skill is undesirable in the present format because of how late it comes into play, and when it comes to a breakride critical vanguard there's very little that Chaopozisis can do with Angelica that Yggdrasil can't already do better. From Fighter's Collection 2014 there's also Goddess of the Four Seasons Persephone. While not a Regalia unit, Persephone's on-ride skill adds three copies of a card already on the field to the soul, and when use with Grappa or Valencia this can be tremendously useful for getting Chaopozisis ready. By the time that you've reridden, Nega will have at least 6 soul to play around with, which can jump up to the magic number 9 with a single Shiny Angel. Very little of the Regalia soulcharge support requires a Regalia vanguard specifically, so as long as you can eventually guarantee your Chaopozisis ride Persephone can be a faster setup card than Angelica. But like with Angelica, the danger lies in getting stuck on Persephone without having access to your primary boss card. One of the reasons it's difficult to find a good partner for Nega Chaopozisis is that in most of the situations in which she is your main boss card, you will want to ride her and start getting the aspect of ice going right away. But with Genesis at an interim period between batches of support, there is ample time for research and testing. Make use of it. January 18th, 2015. The first team tournament of 2015 ended with a surprising deck at the center of the leading team. The Sukacat Vanguard Championship was won by a team running Thing Saver Dragon, Goddess of the Full Moon Tsukuyomi and Dragonic Overlord “The X.” The team's midfighter Ryo accomplished his feat by integrating Heaven Conquering Battle Deity Susanoo and his support cards from G-BT01: Generation Stride with the Tsukuyomi evolution line, using the evolution and generation break skills to repeatedly stack the bottom of the deck with trigger units while adding nontrigger cards to the hand. 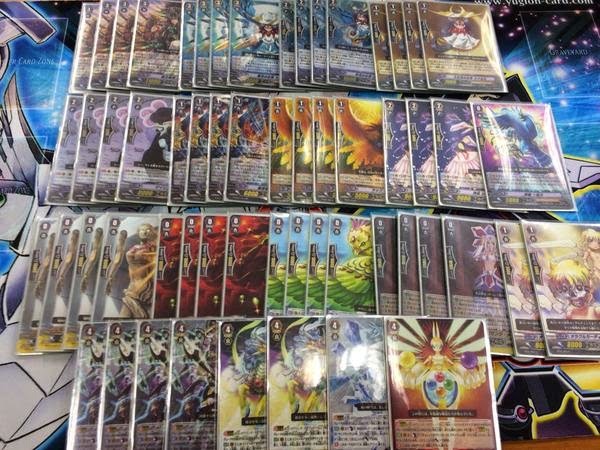 This marks the first monoclan Tsukuyomi top in over two years; while Yasue Takamasa's Genesis-Oracle Think Tank hybrid made top 8 in a regional qualifier in mid 2013, the last time pure OraThin Tsukuyomi won a tournament was under former Sendai regional champion Tanaka Shouta in November 2012. The last time that Tsukuyomi topped, her widespread success eventually led to her finding a place on the restricted list alongside Dragonic Overlord the End and Majesty Lord Blaster. Many of Shouta's innovations have since become essential core elements to Oracle Think Tank, and Ryo's modifications have further improved the deck to create a circular loop in as few turns as possible. The decks of each team member are transcribed below. Ryo's endgame strategy was to guarantee continuous double triggers for the rest of the game past a certain threshold of bottom-deck stacking, effectively presenting his opponent with a time limit before Tsukuyomi would explode. To build up to this point he first used an old trick of Oracle Think Tank, using the skills of Ichibyoshi, Crescent and Half Moon Tsukuyomi to put between twelve and fifteen cards on the bottom of the deck. Each of these units checks the top five cards for the next incarnation in its line and rides them, then places any remaining cards on the bottom. In the past many cardfighters have deliberately stayed on grade 2 while feigning gradelock in order to get their stack to reach twenty cards, but in 2015 the deck has better options. Susanoo's on-stride skill checks the top two cards, placing up to one into hand and any remaining on the bottom. 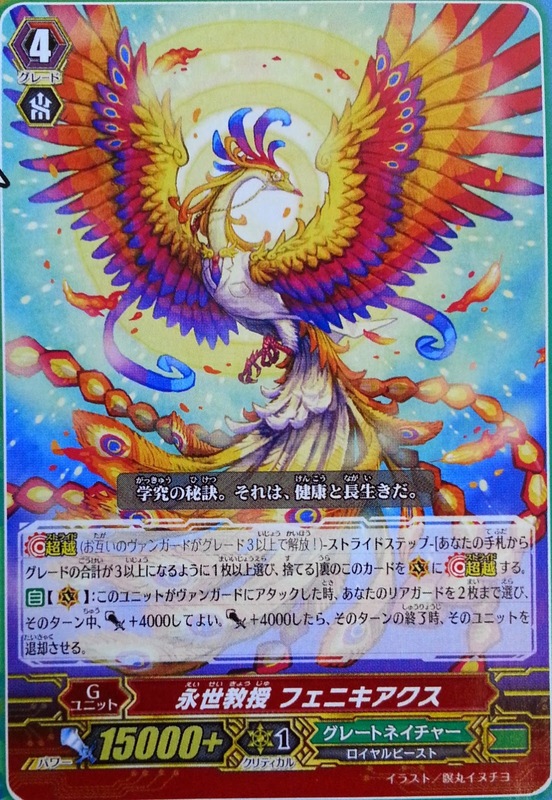 Combining this with the stride unit Soaring Auspicious Beast Qilin--who has an identical skill but with on-hit conditions attached--Ryo was able to get two to four more cards on the bottom of the deck, following up in later turns with his "finisher" Takemikazuchi. By turning a copy of himself in the generation zone face-up and paying two counterblast, as long as there are two or more cards face-up in the G zone, Takemikazuchi checks the top four cards to add two to hand and place the remaining on the bottom. These new units greatly expedite the process of setting up a twenty card stack without having to deliberately take a turn of gradelock, all while keeping up a strong defensive hand and using supporting rearguard draw skills to ensure that the opponent can't knock them out before the stack is reached. 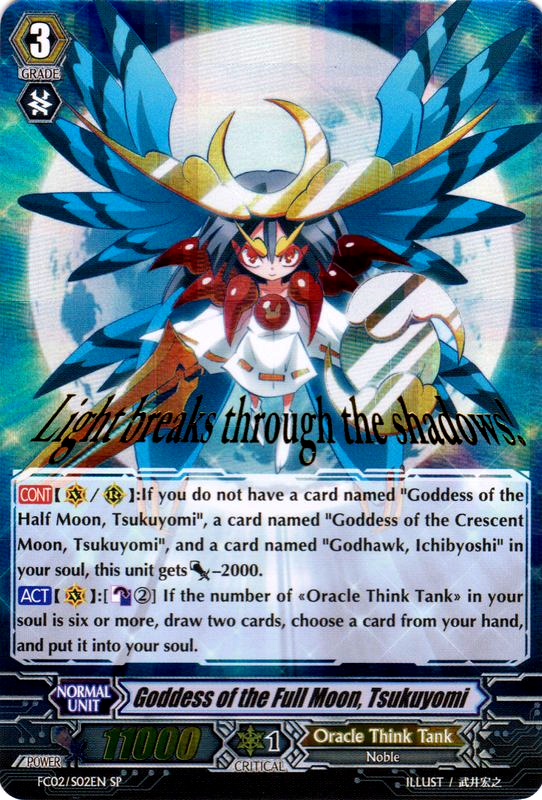 Full Moon herself played into this bunker defense strategy by shaving off up to four cards from the top of the deck with her draw skill, although compared to going for Takemikazuchi or Susanoo this is not as preferable. Photo originally uploaded by ryogyoza. According to Ryo, his record in the tournament was much better in the finals than in the opening rounds. The first four rounds of the tournament were held in best-of-one, with Ryo getting two wins off of Kagerou and Oracle cardfighters, preceded by two losses against Royal Paladin and Kagerou fighters. In the finals he won all four rounds 2-1 (Kagerou) 2-0 (Kagerou) 2-0 (Royal Paladin) and 2-1 (Kagerou.) The tournament finals were Shou's Thing Saver versus Victor-Raizers, Ryo's Tsukuyomi versus “The X,” and Kaiji's “The X” versus Susanoo-Mille Feuille. Of note is that team captain Kaiji's “The X” decklist is one of the last that will be seen with four copies of Calamity Tower Wyvern in it, due to the card's imminent restriction effective this February. 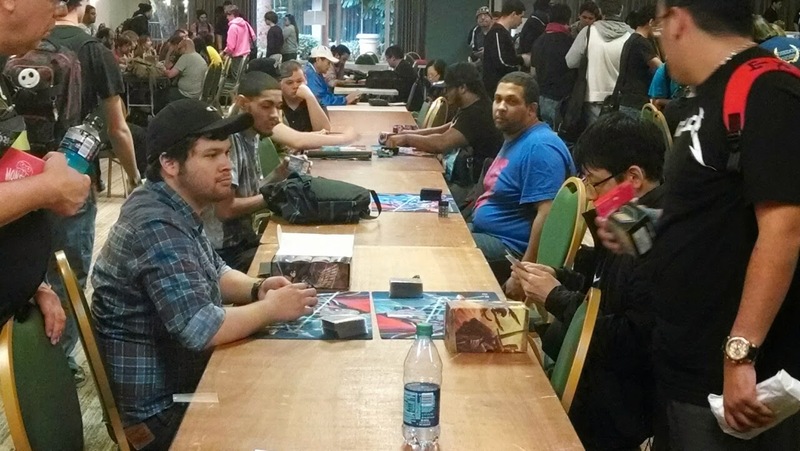 The VGCS tournaments are a series of unofficial tournaments organized by fans and cardshops. Unlike Bushiroad's larger official tournaments, most VGCS events are done using a best-of-three, Swiss tournament model. Turnout is typically 70-80 persons, but some events see 100 or more participants, all of whom compete using pseudonyms and internet handles rather than their real names as in official events. The VGCS model of fan-organized play has begun to gain popularity internationally, with the bi-monthly BeNeLux tournaments serving as their European equivalent, and there are now similar grassroots organizations emerging in the United States like the ARG Circuit series tournaments and the King of Cardfight competition in the American midwest. Credit to Siulzen for transcribing today's deck breakdown. 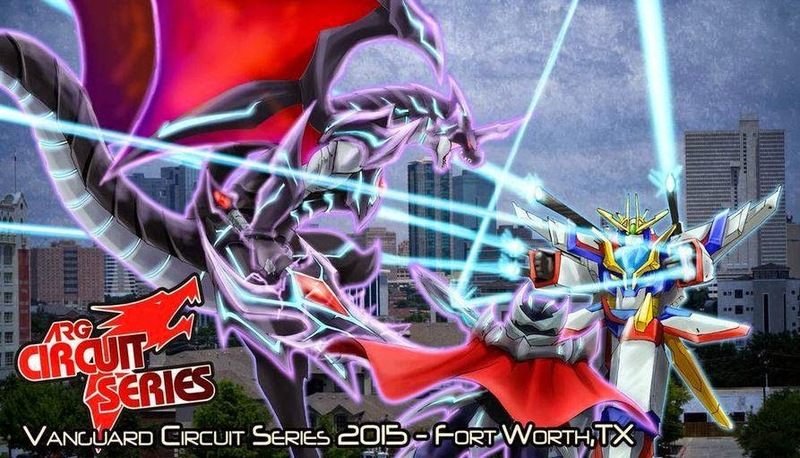 On February 8th 2015 Alter Reality Games will be bringing its ARG Circuit series to Fort Worth and Ontario, commencing the first Vanguard Circuits in Texas and Canada. The entry fee for ARG's Cardfight!! Vanguard tournaments will be $20 per person, with five booster packs being provided to every player that enters. For the Texas Circuit, ARG will be giving out free playmats to the first 25 players to preregister. The playmats will be handed out prior to the tournament, in place of the free booster packs. Preregistration can be carried out through ARG's webpage. The tournament venues addresses are given below. At Fort Worth the tournament finals will be streamed lived to ARG's Twitch channel, but the Ontario tournament will not be. As at Chicago, Atlanta and Orlando there will be a payout of $500 divided among the top 8, along with Circuit series playmats. The payout will be in store credit to be used on Alter Reality Games' website, unless more than 40 cardfighters participate, in which case payout will be in cash. As is standard for competitive tournaments the format will be best two out of three games, beginning with several rounds of Swiss pairings and followed by a cut to top 8. Only English-language cards will be permitted in the tournament, while Lizard Soldier Conroe and Barcgal will be banned from play. Clan mixing is allowed, so that cardfighters can play popular mixed decks like Thing Saver-“Abyss” and mixed Witches. On-site registration will begin at 10:00 AM and the tournament itself will begin at 11:00 AM. The tournament will take place at the Fort Worth Convention Center, 1201 Houston Street, Fort Worth, 76102. The ARG Circuit series is publicly endorsed by Cardfight Pro as a professional tournament system. Those who place in the tournament will be recognized by Cardfight Pro as professional cardfighters of the same caliber as those that qualify in the world championships and VGCS tournaments. The Ontario tournament will not be run by Alter Reality Games, but ARG will be providing top 8 playmats for their associates in Canada to distribute. Registration will be held from 10:30 AM to 11:45 AM, while the entry fee and tournament regulations are identical to those at Fort Worth. The prizes for top 8, based on an anticipated turnout of 50 cardfighters, will be $220 for first place, $120 for second, $80 for third through fourth place, and $45 for fifth through eighth. Each member of the top 8 will receive an ARG playmat, while four random cardfighters will be given a BT16: Legion of Dragons & Blades mat. The Ontario Circuit will be held at the MVP Complex on 1325 Eglinton Avenue E Mississauga, Ontario, Canada. At 3:00 AM this morning the Japanese side of Twitter blew up with the sudden leak of Bushiroad's February-on restricted list. 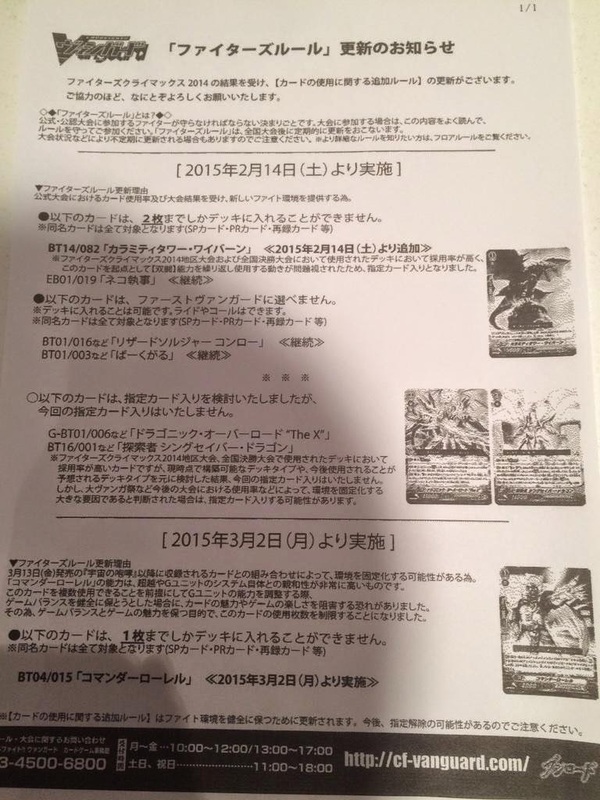 A paper copy of the list circulated to card shops was photographed, forcing Bushiroad to immediately update the Japanese Fighter's Rules. The list, which will take effect on February 14th, restates Cat Butler's restriction from August 2014, Conroe's from February of that year, and Barcgal's from September 2011. But in addition to these, the list adds two new cards to Cardfight!! 's rogues' gallery, and suggests that more are to come. These changes to the Japanese restricted list reflect recent developments in the Japanese national tournament scene and VGCS tournaments. 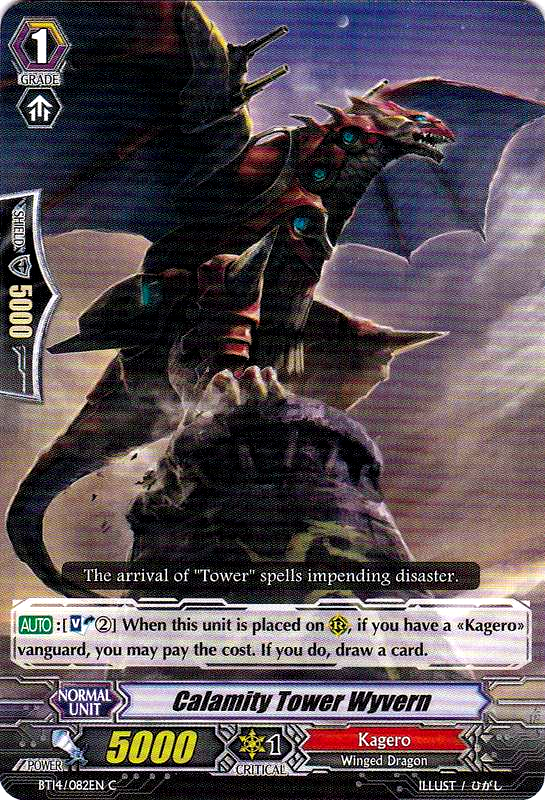 The first addition to the restricted list is Calamity Tower Wyvern, one of Kagerou's supporting grade 1s. Calamity Tower is a type of card that many clans have access to, what would otherwise be an innocuous Luck Bird clone. Calamity Tower has been a staple of Kagerou decks since the Nouvelle Vague days, primarily for his draw skill. But when used in combination with the new Kagerou favorite of the day, Dragonic Overlord “The X,” Tower has proved dangerous. His soulblast 2 helps rapidly accelerate the drop zone while building card advantage, making legion possibly at earlier stages of the game. In exchange for his low base power compared to Gojo, Calamity Tower both gives real card advantage and can be used as a booster, which snowballs with “The X's” other characteristics. On February 14th, Calamity will be restricted to two copies per deck. The second addition is Commander Laurel, whose restriction will be delayed until March 2nd, just eleven days before the Japanese release of G-EB01: Roar of the Universe. Laurel is a unique card for Dimension Police that has historically been one of their marquee cards, but which may become problematic in light of stride. By resting four rearguards when the vanguard's attack hits, Laurel can stand it, ordinarily giving a +2 in card advantage and additional drive checks in exchange for only getting two attacks per turn instead of three. 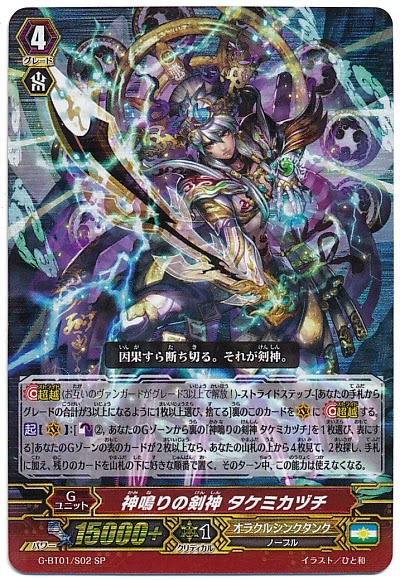 With Dimension Police receiving three new strides in Roar of the Universe, Laurel is now a suspect card because when his skill is used with the stride units' triple drive it allows for exponentially more drive checks and a +3 overall. Six drive checks in a turn is equivalent to three vanguard attacks, comparable to a break ridden Dragonic Overlord “The Яe-birth” and Thing Saver Dragon's double restand. Laurel will be the first card to be restricted to one copy per deck. Past cards Dragonic Overlord the End and Majesty Lord Blaster have been restricted to two copies in combination with other units, but never to a single copy under no other conditions. 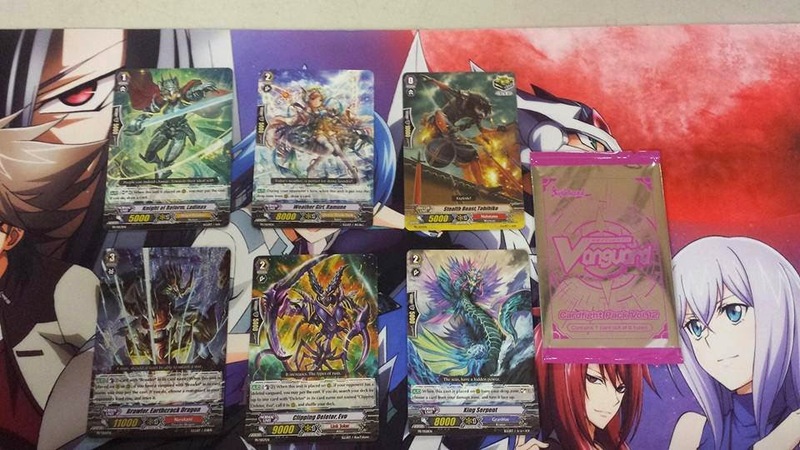 Finally, Bushiroad has announced that their research and development staff are investigating the possibility of placing restrictions on Dragonic Overlord “The X” and Thing Saver Dragon. 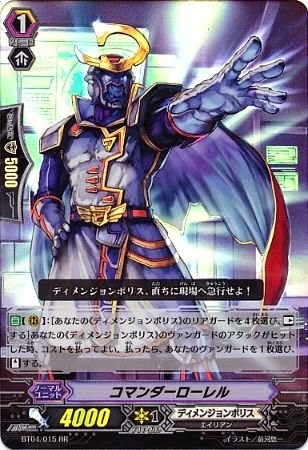 “The X” and Thing Saver have earned a reputation as the optimal restanding vanguards of the Japanese format, having dominated tournament results since the release dates of G-BT02: Generation Stride and BT16: Legion of Dragons & Blades. Both cards have been instrumental in the 2014 winter and summer national championships, and have been leading decks in the fan-run Vanguard Championships. The reason for the company's hesitation is likely that the actual number of “The X” cardfighters participating has been lower than past top decks, despite its continual success. At the Sakura VGCS “The X” accounted for 27% of all decks played, while at the Machida CS the top decks were Royal Paladin and Oracle Think Tank with no Kagerou fighters in sight. Perhaps the most damning evidence against “The X” is that at the second YVGCS team tournament Kagerou held a one-quarter majority over the top eight teams (24 cardfighters), with six of the top eight having one Kagerou fighter on their team. But with Royal Paladin and Nova Grappler being played at similar levels, and bearing in mind that only last November Phantom Blaster “Abyss” was consistently covering 31~33% of all tournament entries, these are hardly conclusive numbers. While last August's Thing Saver crisis saw the Royal Paladin deck only reaching about 20~26% distribution in each individual tournament, it was only because of repeated tops in more than ten separate tournaments and in the regional qualifiers that a definitive picture of it as the dominant deck could be painted. By comparison “The X” has only been playable since December 5th, barely more than a month, and this gives relatively little data to work. From lower overall participation numbers it can be argued that “The X” is topping as a result of skilled cardfighters adopting the deck rather than as a result of “The X” being a poorly balanced card. Restricting it would thus be tantamount to restricting whatever the most skilled fighters are playing, forcing them to buy different grade 3 options--scalping the top cardfighters in the game and alienating an important part of the player base. Notably another infamous deck, Phantom Blaster “Abyss,” is not being considered for restriction. While not long ago “Abyss” was one of the most prolific Japanese decks surpassing Thing Saver, in the past two months he has seen a considerable drop in popularity compared to his contemporaries. 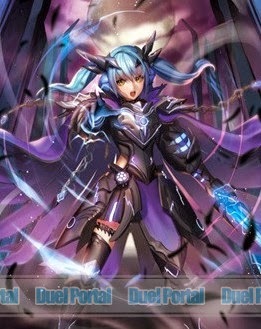 Unlike in the example of Seeker and Kagerou decks though, restricting Phantom Blaster “Abyss” would also leave Revenger cardfighters with no legion option outside of Ambitious Spirit Revenger Cormack, forcing them to either play at least one limit break grade 3 until G-BT03 or quit Revengers entirely. The restriction of Thing Saver and “The X” would almost certainly bring “Abyss” back to the fore by eliminating his primary competition, which brings a question into play of whether there would be more or less diversity as a result of these restrictions. Whether or not one, both or neither cards needs to be hit in order to equalize the playing field for as many clans as possible is difficult to answer. 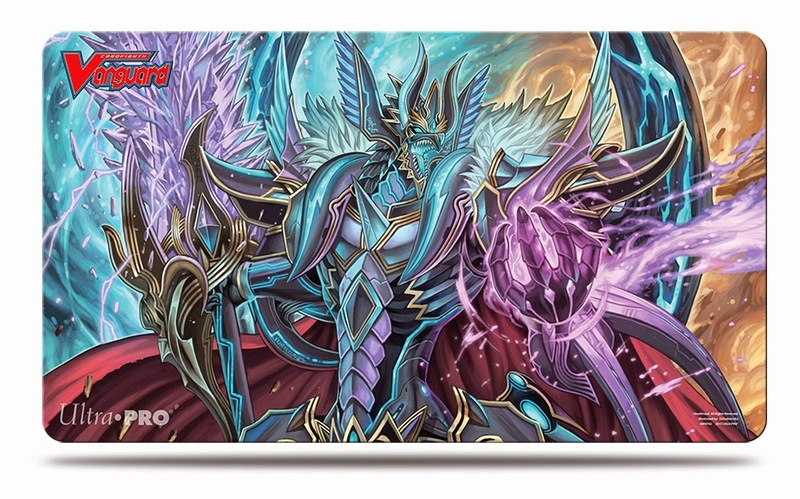 The Raging Form Dragon playmat is illustrated by Daizuke Izuka (2001-Present) currently known for his work on Dragonic Overlord “The X” and Chronos Command Dragon. Both playmats will retail for $19.99. Bushiroad of Japan has also unveiled a rubber playmat that will be for sale at its 2015 Trio tournaments. Based on promotional artwork for the Cardfight!! 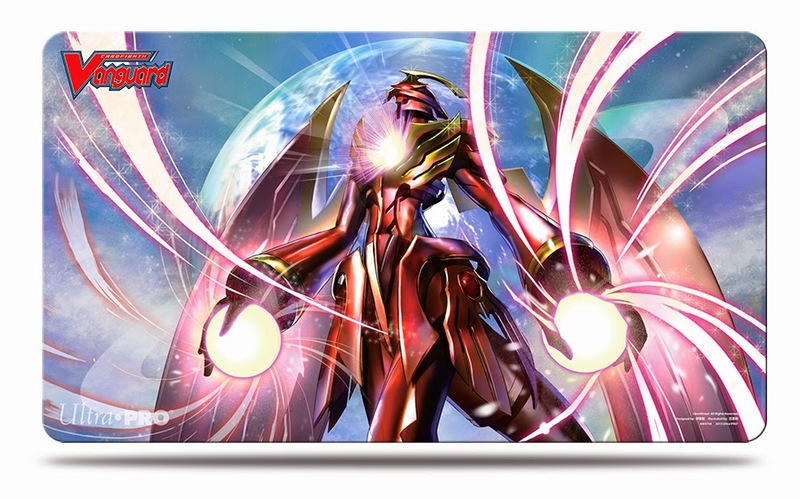 Vanguard film Neon Messiah, the playmat will retain for 2000 yen (approx. $17 at the current exchange rate). Importers will likely have to put a bit more on the table, as Japan-based distributors tend to mark up prices to make up for shipping costs. The Japanese cards of the day are a pair of support cards for the Maelstrom subclan, Marine General Despina and Soldier Rascal Sweeper. Rather than being blanket support for the Blue Storm subclan as a whole these cards specifically require a Maelstrom vanguard, providing new life for the Aqua Force clan's original boss card. The commons come as part of G-BT02: Flying Flowers, and some have interpreted their debut as indicating a revival legion for Maelstrom. While the set's space for a revival has already been taken up by Dragonic Kaiser Crimson, a new Maelstrom card altogether may be anticipated. For the time being, Maelstrom cardfighters have the support unit previously released in VGE-BT16 and the Japanese run of BT17, Mako Shark Soldier of the Blue Storm Fleet (previously known as Shortfin Mako Soldier of Blue Storm Armada.) Mako Shark's skill allows any of your own limit break 4 abilities to activate irregardless of damage, in some cases allowing for faster setup than a legion deck because of being live on the third turn of the game. The primary Maelstrom vanguards are thus Blue Storm Supreme Dragon Maelstrom and his Link Joker-tainted crossride Blue Storm Karma Dragon Maelstrom “Яeverse.” Glory Maelstrom, while an effective finishing move at endgame, is a limit break 5 that cannot benefit from Mako Shark. Do not mistake this lack of synergy for a lack of viability; when used properly with the cards introduced today, Glory Maelstrom can make it impossible for the opponent to guard from their hand. AUTO (Rearguard circle) When this unit boosts a vanguard with "Maelstrom" in its card name, if it is the fourth battle of that turn or greater, during that battle, your opponent cannot call grade 0 cards from their hand to the guardian circle, and during the end phase of that battle, return this unit to your deck, and shuffle that deck. Despina is how this strategy comes together. 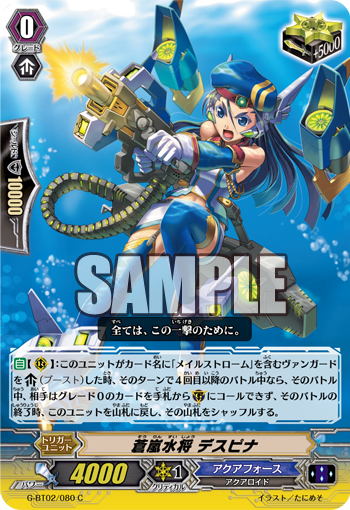 In exchange for returning her to the deck at the end of the battle, Despina can make it impossible for the opponent to call grade 0s from their hand when defending a Maelstrom vanguard. In order to achieve this you have to reach fourth battle conditions, which coincides with the original Maelstrom and “Яeverse's” requirements for their own skills to activate. Another trade-off to the skill is that both Maelstrom units get +5000 power with their limit breaks, but with Despina's boost this only makes a 20000-power lane, and most vanguards of the current format have defensive bodies of 11000 power. Since the opponent is forced the guard with grade 1 and 2 cards, without a perfect defense card or quintet wall in hand this still requires three 5000-shield units to create a two-to-pass defense, but still falls short of Maelstrom's maximum potential. Maelstrom “Яeverse” answers the problem with his passive defensive bonus from having Supreme Maelstrom in the soul, making a 22000-power lane on par with most legion vanguards. Thus for the first time, Despina has made crossride “Яeverse” a viable contender against its breakride competitor. As stated before, this also makes a strong endgame with the 2012 crossride Blue Storm Supreme Dragon Glory Maelstrom. When Glory Maelstrom attacks a vanguard, his ultimate break counterblast 1 gives him +5000 power and prevents the opponent from guarding with grade 1 and greater cards, most notably among those perfect defense cards. Although this was generally underwhelming in the time of BT09: Clash of Knights and Dragons, when you form a crossridden offense that cannot be guarded with trigger units or perfect defense cards, it is possible to reach the point where the opponent has as high as a seven card hand and still cannot drop even one card to protect against the attack. A cautious opponent can be anticipated to use that seven card hand much earlier to avoid ever reaching this point. Since this means surrendering either Maelstrom or “Яeverse” Maelstrom's skills for the rest of the game in order to dedicate to Glory Maelstrom, and going to a level of damage that is just a brush away from death, it requires careful monitoring of the opponent's hand and drop zone. If you don't play this monitoring game while on the original and “Яeverse” Maelstroms, you won't be able to bring the opponent to the crucial 5 damage line to make that dedication viable. Glory Maelstrom has no innate second critical, and if the opponent turtles on early defense to stay at the 3 to 4 damage mark, it can cause your final turn push to fall apart. As for the drop zone, you don't want to crossride Glory only for a sixth damage heal to leave you unprepared to close the match out. The actual gameplay of Glory is not what needs to be focused on when strategizing for the deck, but getting the opponent into a situation in which they will be vulnerable to that ultimate break turn. 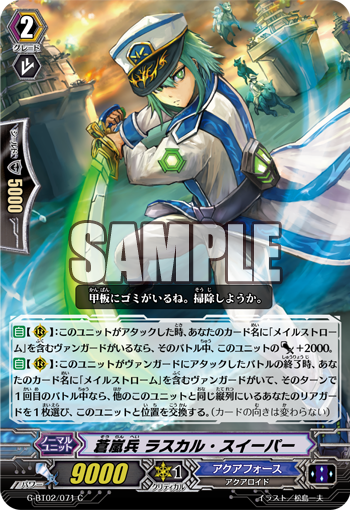 The second card of the day is Blue Storm Soldier Rascal Sweeper, whose skill is a variation on that of Banding Jewel Knight Miranda from BT14: Brilliant Strike. Like Miranda, Sweeper is an 11000-power attacker exclusive to Maelstrom, but the difference between them is that Miranda came with a secondary on-hit skill attached that could power up a rearguard by +3000 power; in place of this Rascal's secondary skill activates at the end of the battle that he attacked. If that battle was the first of the turn and you have a Maelstrom vanguard, Sweeper's skill allows you to exchange his position with that of a rearguard behind him. (Note that the skill cannot activate if there are no other rearguards in his column, so you cannot use this just to prevent any frontrow units from being exposed.) Rascal is effectively an improved Storm Rider Basil, with his +2000 power bonus allowing him to hit base 11000 vanguards, and because the power boost will trigger regardless of the number of battles you can also use him just as an attacker if position changing is unnecessary. AUTO (Rearguard circle) When this unit attacks, if you have a vanguard with "Maelstrom" in its card name, this unit gets Power +2000 until end of that battle. The primary way to make use of this is in conjunction with either another copy of Rascal Sweeper, or Marine General Gregorios, who can act as a 12000-power attacker for any Blue Storm vanguard. Since all of the current Maelstrom units are also Blue Storm units with subclan overlap, Gregorios synergizes strongly with them. 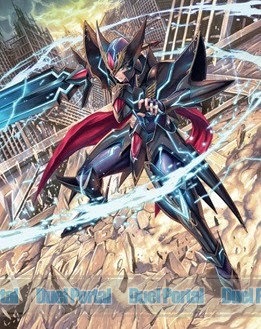 By leading with Sweeper, then using his first battle skill to move Gregorios up front and attack with him, then attack with a third rearguard column (Marine General Ianis would be a good choice; if his attack hits the vanguard during the third or greater battle of the turn, you can then draw a card) you can set up Maelstrom and “Яeverse's” fourth battle skills. Maelstrom automatically gains +5000 power, and if its attack hits the vanguard can counterblast 1 to draw a card and retire one of the opponent's rearguards. Maelstrom “Яeverse” instead has to pay the counterblast 1 up front, as well as rest and lock a standing rearguard (what would have been Ianis' booster in our example). In exchange, “Яeverse” gets both the +5000 power boost and an additional critical to give the opponent an incentive to guard, then if its attack does not hit “Яeverse” is able to use the same draw and retire effect. Along with Spyros and Wheel Assault, Sweeper makes it easier to set up these extensive combo skills. With Mako Shark quickening the window of activation for the Maelstroms, the Blue Storm Dragon becomes a devastating early game option while the Karma Dragon both provides a stable crossride defense to sit on and wears the opponent down in the mid to late game. 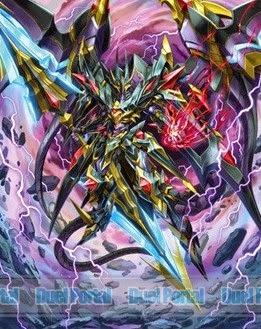 Glory Maelstrom is most suited for after “Яeverse” and his rearguards have pushed the opponent to five damage, as when his ultimate break is used with Despina it guarantees that the opponent can only survive by intercepting (for one-to-pass without especial intercepts) or by checking a heal trigger. Six of the top 8 games. Orlando champion Christian Rivera is on the left, in the center game. The first major tournament of 2015 concluded earlier today with the lauded Thing Saver Dragon in first place, under the command of Orlando Circuit champion Christian Rivera. Beginning at 11:00 AM and lasting over ten hours, the six round tournament saw a payout of $500 to the top 8 cardfighters, with Christian claiming $200 of it and an exclusive champion's playmat. The top 8 fighters included the first Deletor top in the United States, as well as two Gold Paladin, one Blue Storm and one Yggdrasil top. The day was primarily stolen by Thing Saver Dragon, who accounted for three places in the top 8 and a significant portion of the tournament's participants, both as a pure Royal Paladin deck and as a mixed Royal-Shadow Thing Saver-“Abyss” deck. The top 8 decklists are provided below. 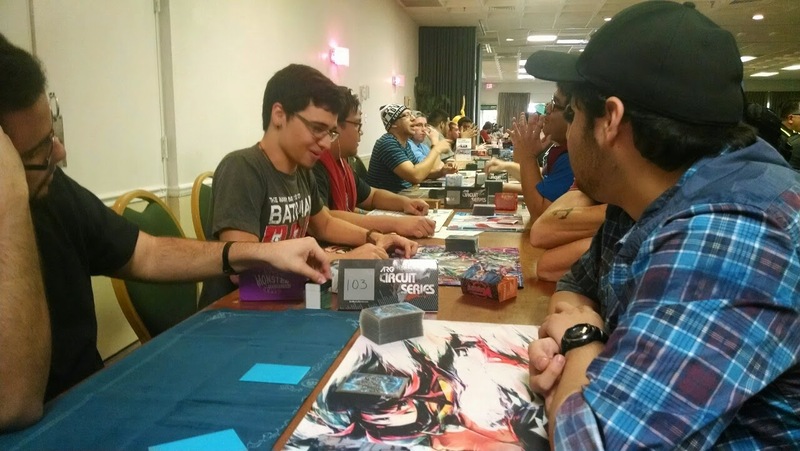 85 cardfighters participated at the Orlando Circuit, making it the largest fan tournament ever organized on the North American continent. Some of those fighters came from as far as Miami, more than three hours from the tournament salon at the Ramada Gateway hotel. The Cardfight!! Vanguard portion of the Circuit was organized by judge Harris, a veteran cardfighter from Jacksonville who has been specifically hired for his experience by several tournament hosts in the past. The tournament format was held in best-of-3 with a 40 minute time limit on rounds. Six rounds of Swiss determined the top 8 cardfighters, who then played out to determine the pecking order on prizes. Photos property of Cardfight Pro. Clan mixing was permitted at the event. While Thing Saver-“Abyss” proved a population option as it had in Japan, no fighters were observed taking advantage of the rules to run mixed Genesis-Shadow Paladin witch decks. Importantly, while the Spike Brothers' legion grade 2s Bloody Ogle and Silver Blaze have been seen to tear apart the competition in Japan's Extreme Fight format, these were also not seen outside of pure Spike Brothers decks. The tournament's time limits fell under some scrutiny by the cardfighters present. The most common complaint of the evening was of only having 40 minutes versus 50 to 60. The introduction of legion format has stretched the midgame of each fight considerably, with a strongly defensive and stall-oriented gameplay developing around legion skills removing most damage restrictions. Judge Harris was available for comment on the matter; while he was sympathetic to the fighters' problems, he cited the encroaching length of the tournament even under the current system as one reason for the limits. The difficulty of organizing large groups of players to complete their games in a timely fashion also came into play. Harris suggested a 50 minute time limit with double elimination rules as a future solution, so that every fighter that had lost two best-of-three sets would be cut from a given competition, effectively halving the number of players needed to be paired for every round following the second. Perhaps the most striking image of the day was that of the tournament's unintended mascot, top 4 cardfighter Joshua Harvie. 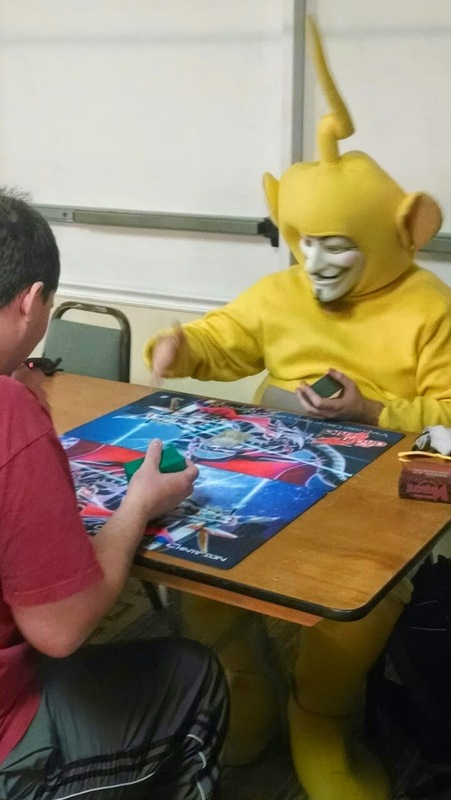 Referred to during the tournament as "the Teletubby," Harvie cut an intimidating figure to those competing, as he attended the tournament in a Laa-Laa costume juxtaposed with a Guy Fawkes mask. Adding fuel to the fire is that Harvie was extremely proficient with his Thing Saver Dragon deck. When he abruptly won a game after an announcement that there were two minutes remaining until the time limit, his opponent was admonished by audience members for "activating The Tub." Harvie became the first of the top 8 fighters to be put on stream, but was eliminated in the top 4 in a mirror match with Christian Rivera. Tournament runner-up Brian Villamil carved out a place for himself with the recently released Bluish Flame Liberators. Noticeably Villamil chose not to run Prominence Core with his Prominence Glare copies, opting to run Percival instead. This is a preference emergent in the American pro scene similar to that of the Americans' Japanese counterparts. Percival's direct card advantage is seen as more valuable over Core's neutral superior calls, and the additional critical from Core is much more easily dealt with than that of Glare or Percival's unboosted center lane. Villamil was joined in top 8 by Daniel Pelaez also playing Bluish Flames, but Pelaez was eliminated quickly by Rivera. Rivera poked fun at Pelaez's mass chaining of skills--Prominence Core to Oath Aglovale to Zorron to Ketchgal to call Bruno--that his opponent had "taken his turn for a year." Note that when going through the decklists below, the copy of Kevin Carlson's Aqua Force list currently in our possession does not have the quantities of the cards he used list on it. As such, only the names are provided at this time.